I've seen lots of action round the blogosphere this week of people committing to new financial goals for the new year. 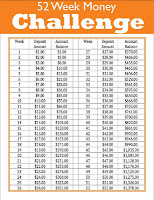 A really popular one is the 52 week plan, where you start by saving $1 the first week, $2 the 2nd week, and so on till you reach $52 the 52 week. I've seen this one floating around both my personal and blog facebook pages. The only thing that worries me about this one, is that it starts out easy at the beginning of the year when you are most motivated to save, and usually have least expenses, and ends up toughest at the end of the year when you are trying to pull together money for Christmas, holidays, and everything else you have going on. I'd suggest doing this in reverse - saving the bigger amounts now, and reducing till Christmas. It will work out better that way for interest as well, as the balance will be higher faster. You'll also increase your chances for success if you do the hard work while you are most motivated - you'll probably find yourselves saving extra at the end of the year as it gets easier just because it's too easy. Instead of giving this a whirl, I am doing a balance and change skimming activity instead to build up an account for Christmas. 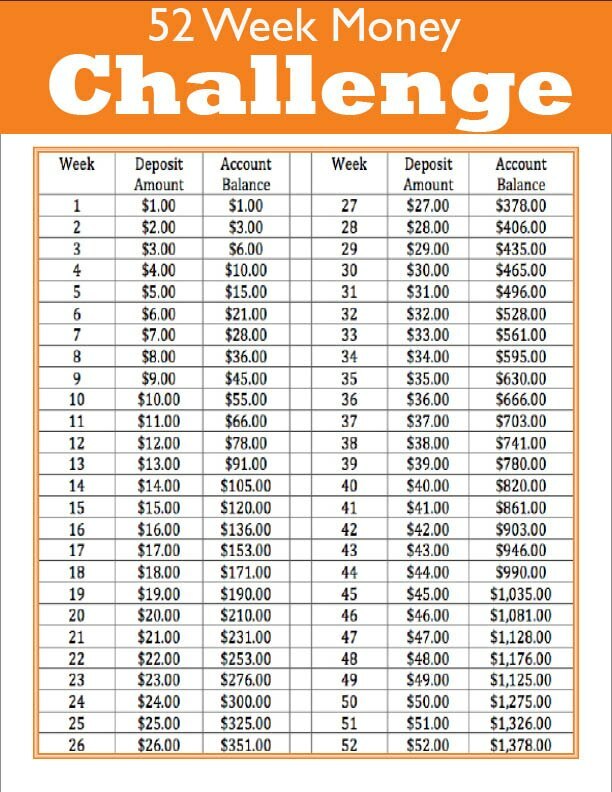 At the end of each week, I will be reducing the balance of my day to day bank account down to the nearest zero number - for example, if the balance is $562.15, I will transfer $2.15 to my savings account. Some weeks this will be a small amount, some weeks it will be closer to $10. If I'm feeling flush maybe I'll round down to the next zero instead. I'll also empty my wallet of all change into a jar every Friday, something that has worked well in the past but that I haven't done for a while. This one always does brilliantly, but only if the jar stays my secret and I hide it away. Husband is too prone to raiding it otherwise, and I suspect the tween will probably also help herself now that she is older and has more petty costs. Although I can't do an accurate forecast or prediction on the balance at the end of the year, between the 2 activities I expect to end up with around $1,000. A decent amount to spend on Christmas presents and foods. I have so much scrimping and saving to do this year just for normal living - the year of maternity leave - that I like the idea of a nest egg to keep Christmas as festive as ever. 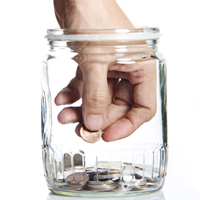 Have set any savings goals this year? Maybe you want to give the 52 week Challenge a whirl? Accumulating money for anything special?